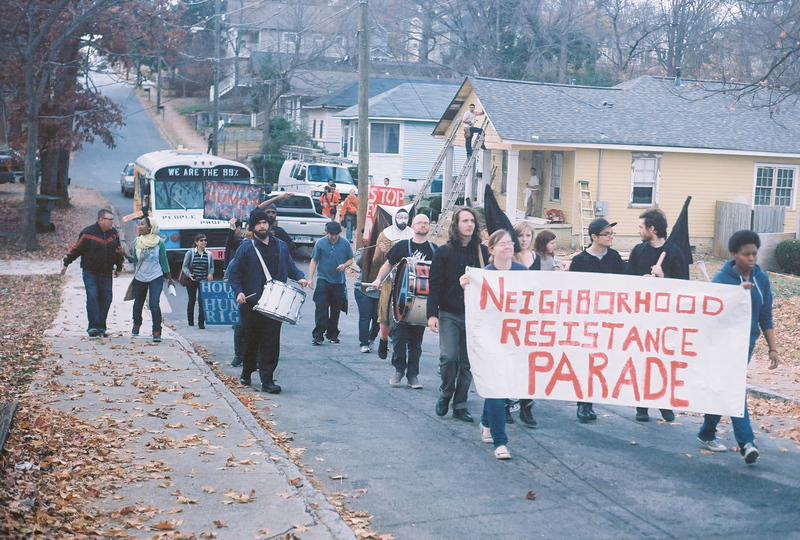 After helping so many home owners defeat elaborate tricks from banks to kick them out of their homes or to impose illegal predatory lending terms, the Occupy Our Homes movement has spread nationally and is now known in the international press for their effort to “help families occupy vacant bank-owned homes” (The Guardian, Dec. 26, 2012). 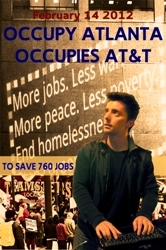 The movement is also much more than that for the reasons not mentioned in mainstream press yet. 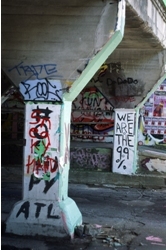 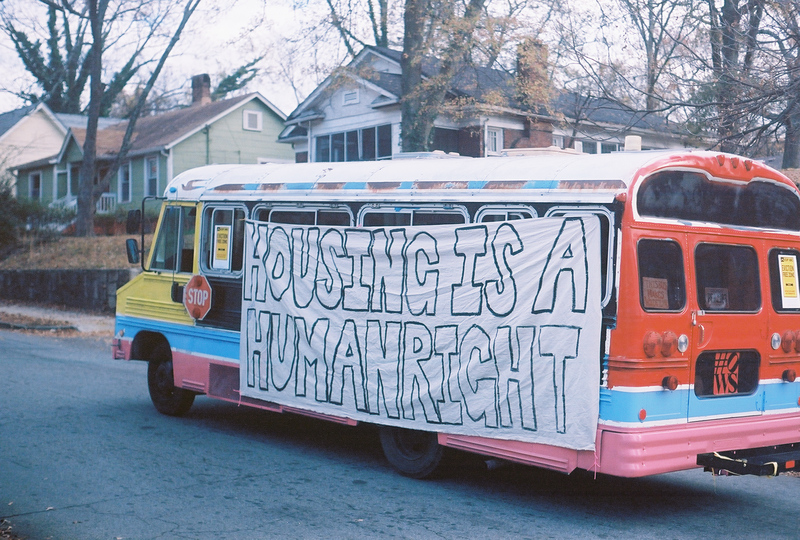 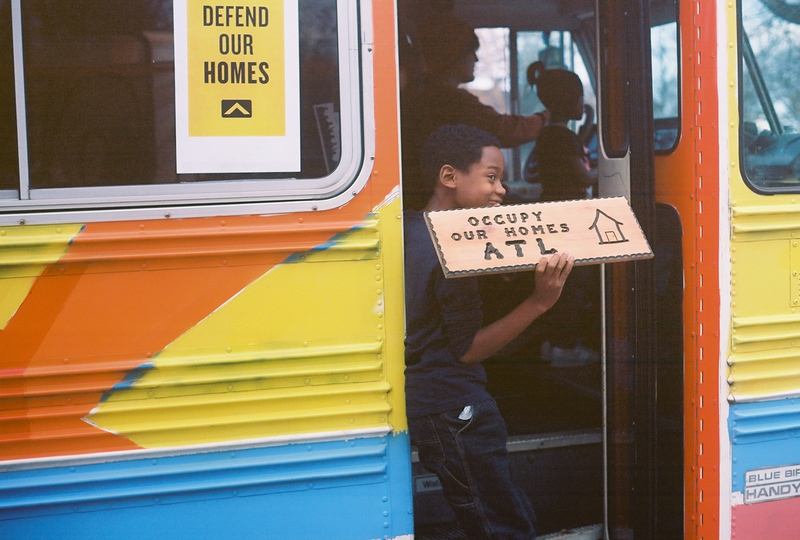 Occupy Our Homes has also evolved to occupying entire neighborhoods where the rate of foreclosure has increased crime, squatting and vandalism. 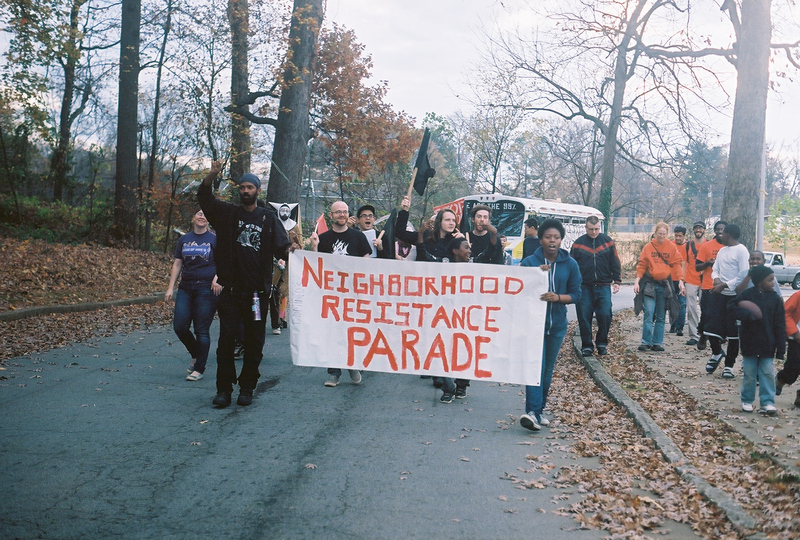 Along with the logistics of fighting foreclosures, initiatives are also undertaken to keep the neighborhood clean and promote pride. 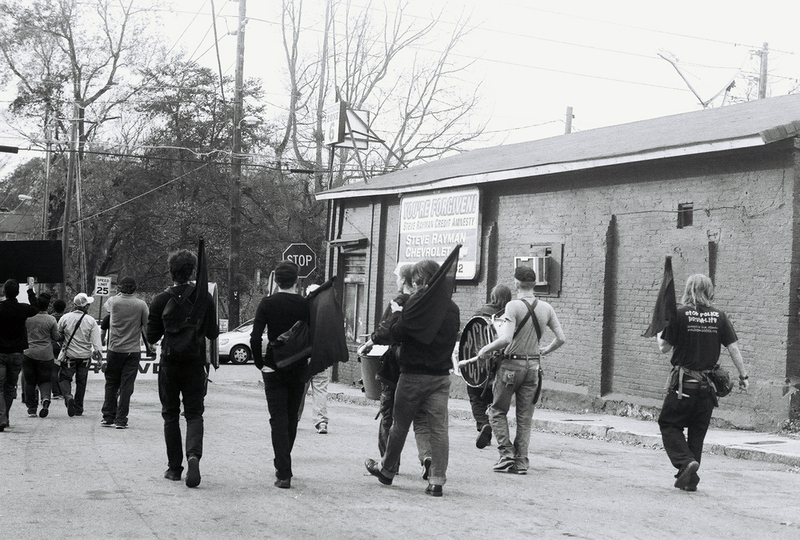 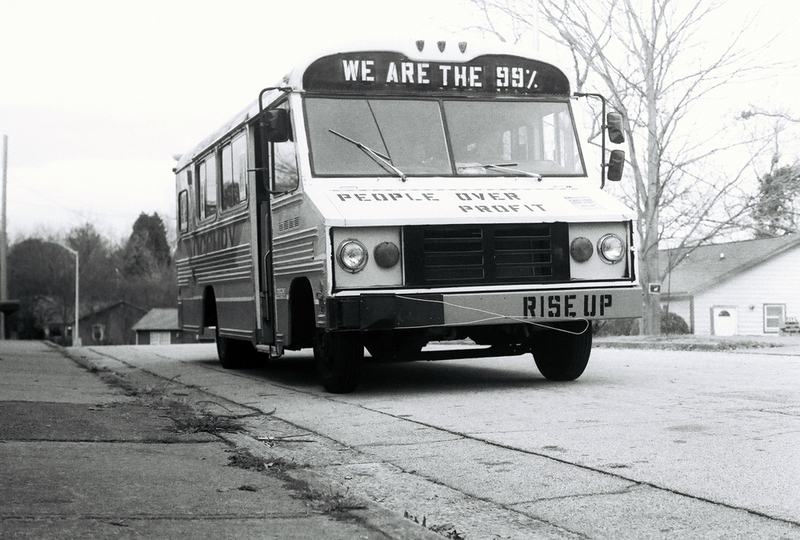 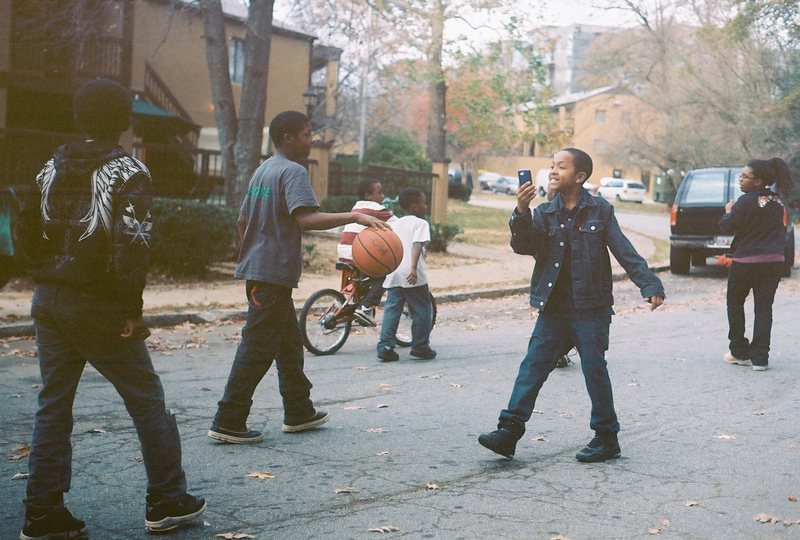 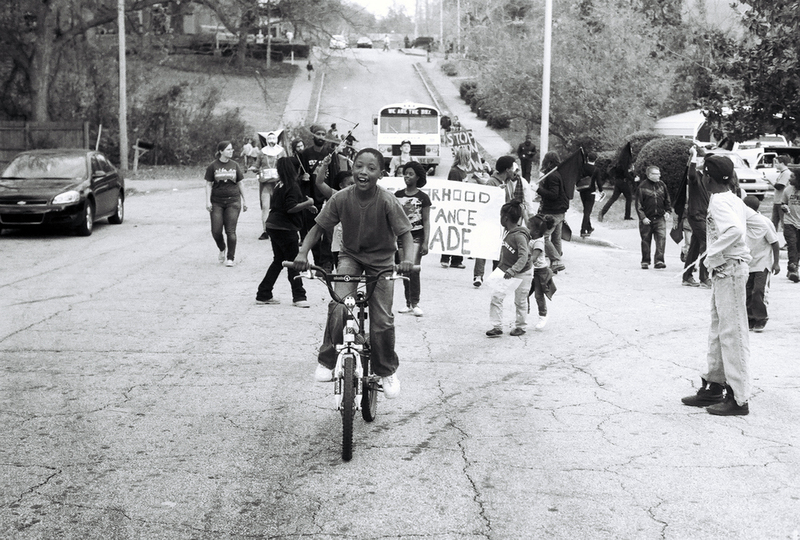 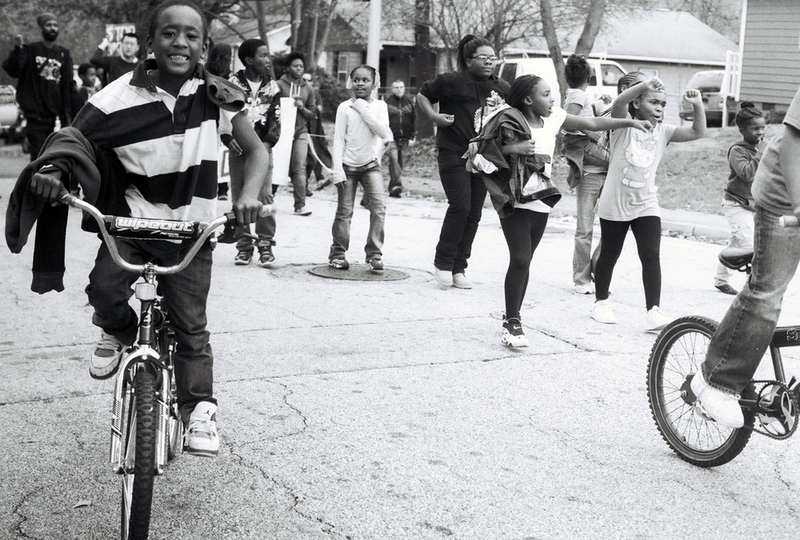 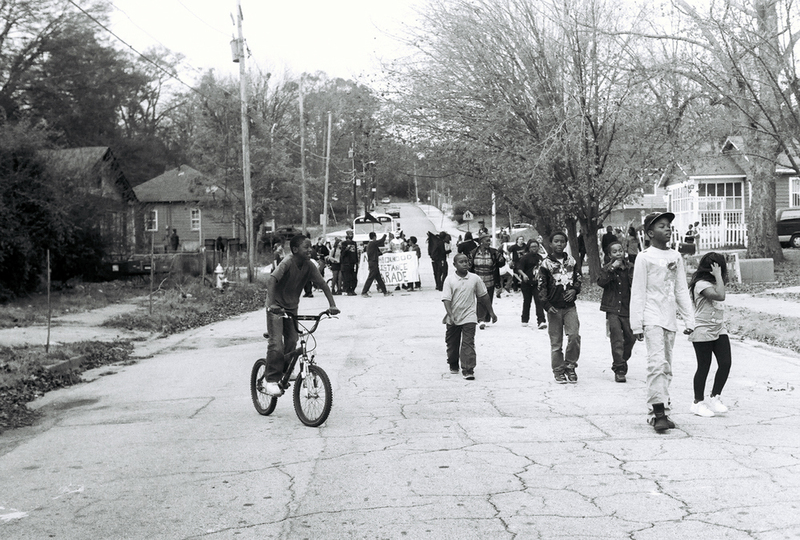 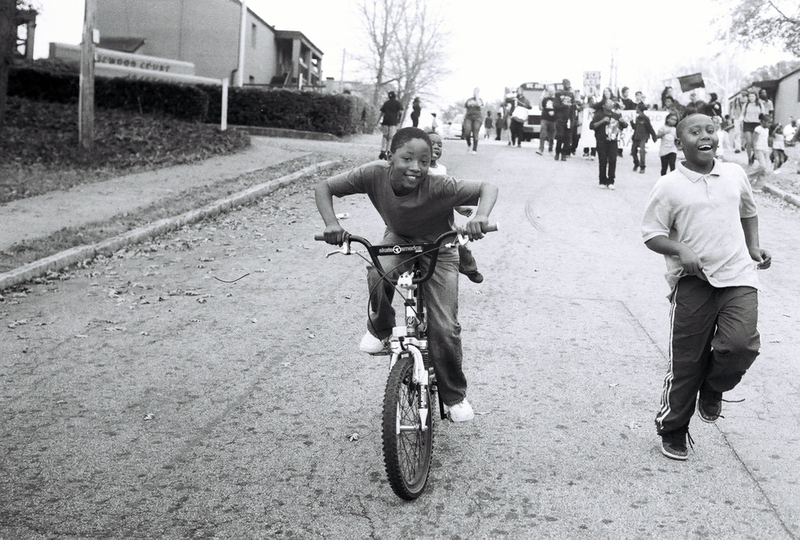 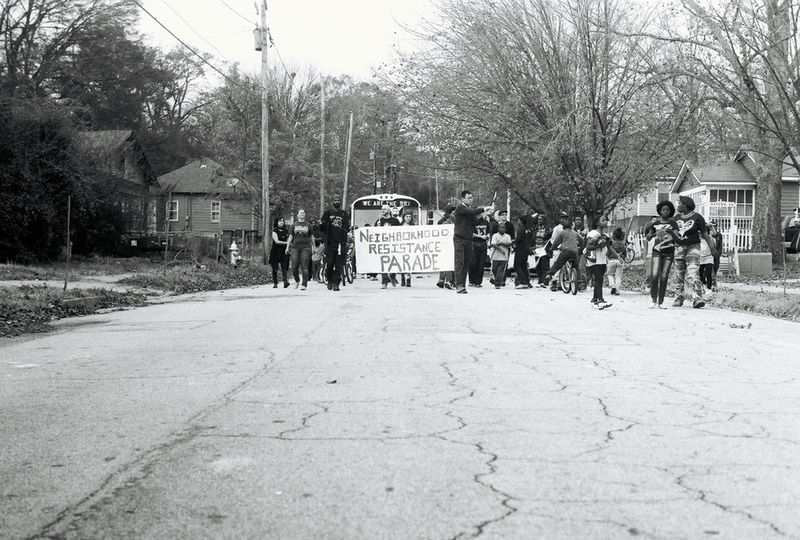 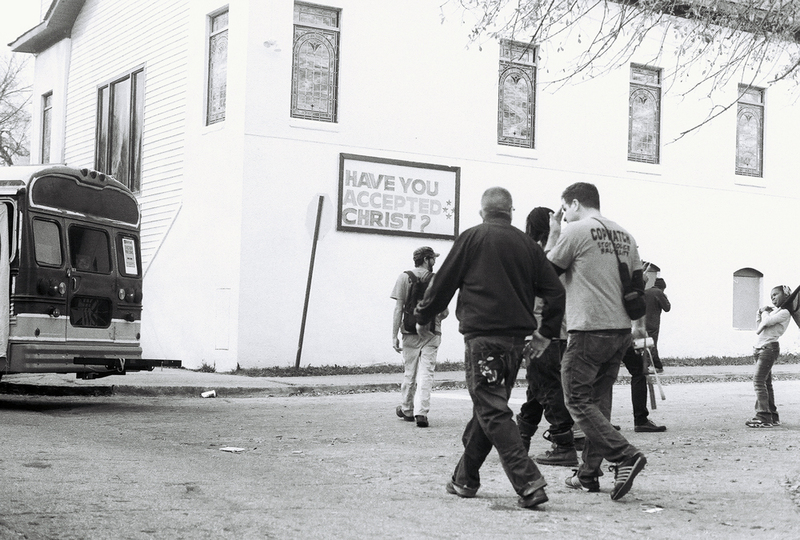 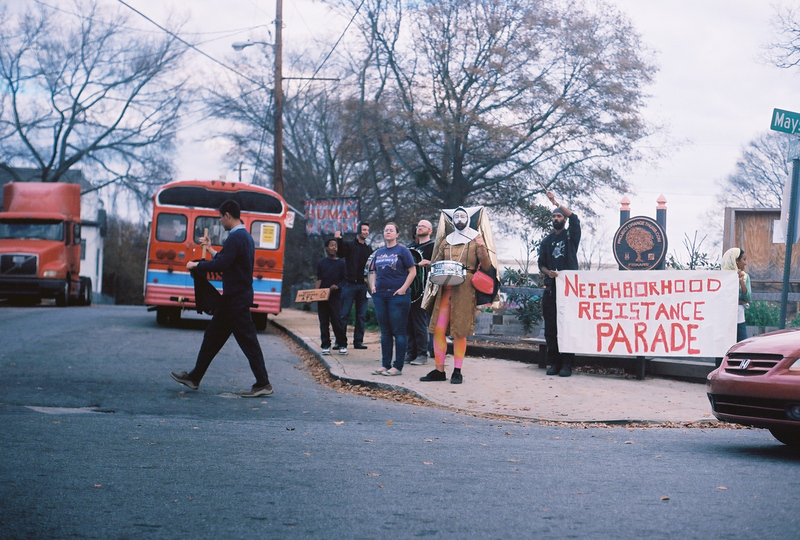 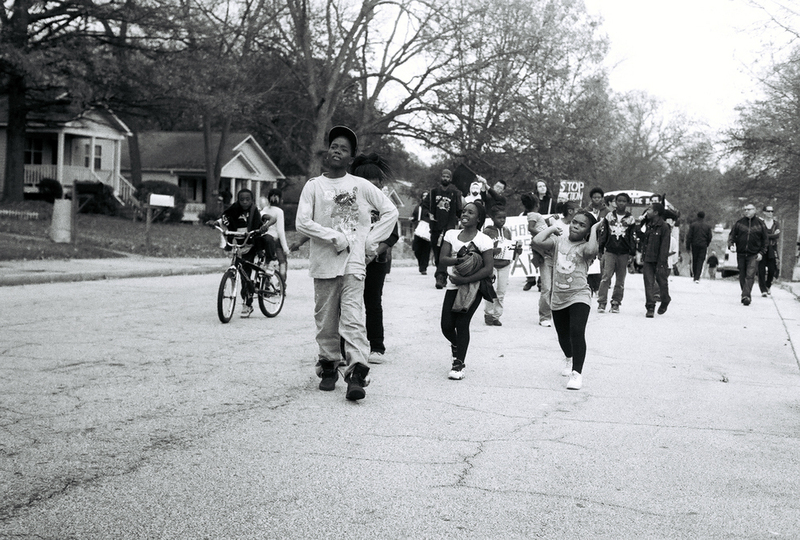 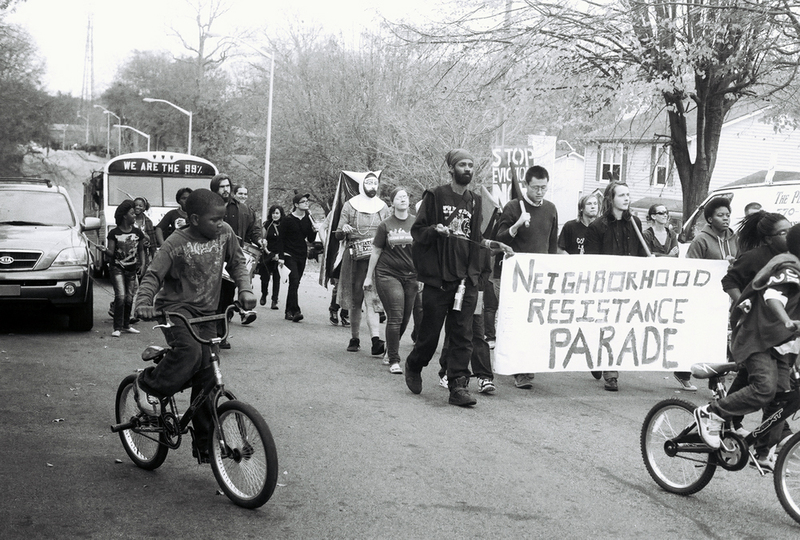 Using performance rhetoric, a Neighborhood Resistance Parade was organized by Social War and Radical Mobilization (SWARM) and Occupy Our Homes Atlanta (OOHA). 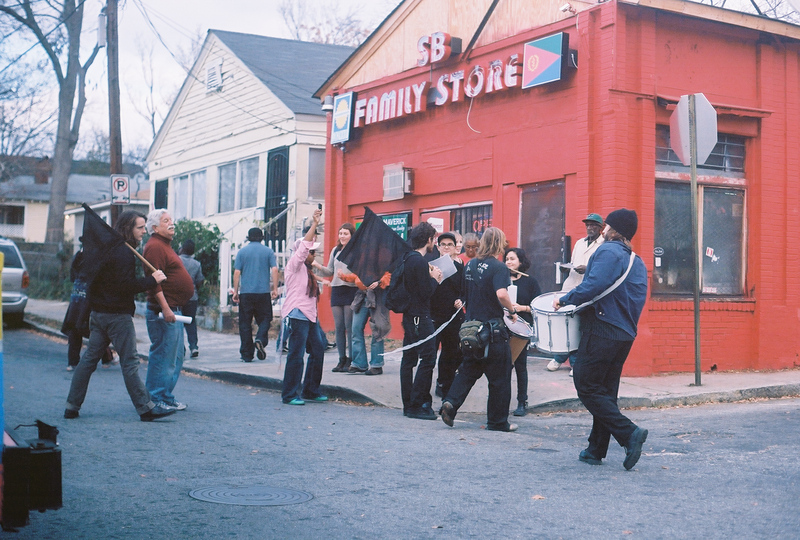 The event attracted not only close police surveillance but also children laughing and dancing at the rhythm of drums and anti-oppression chants. 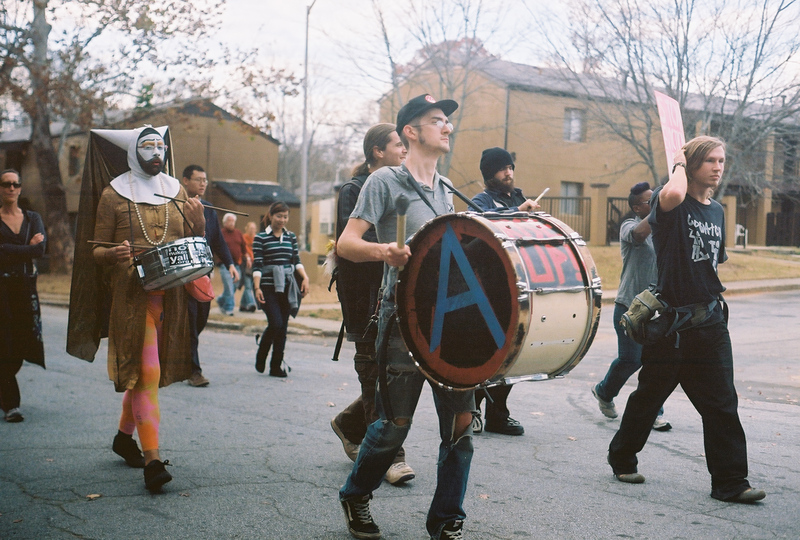 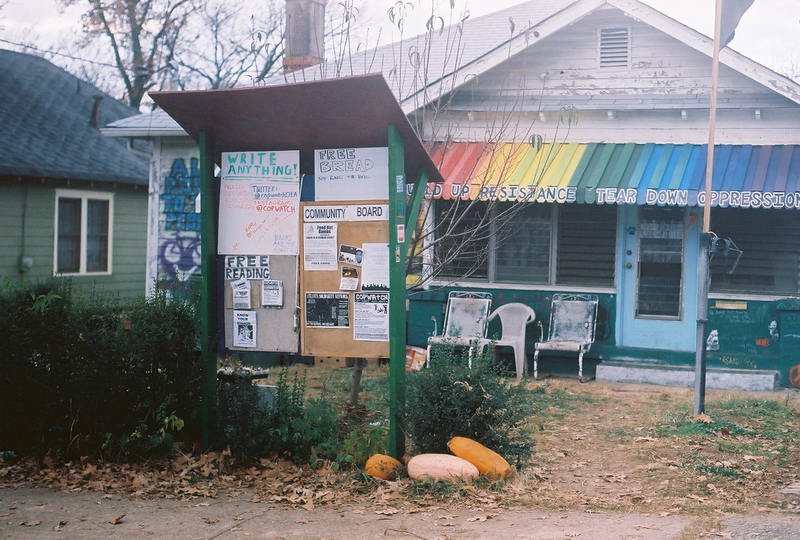 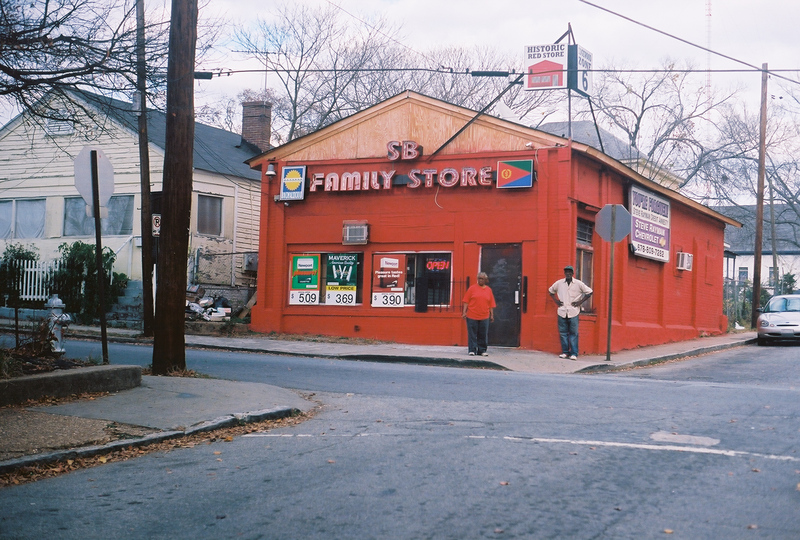 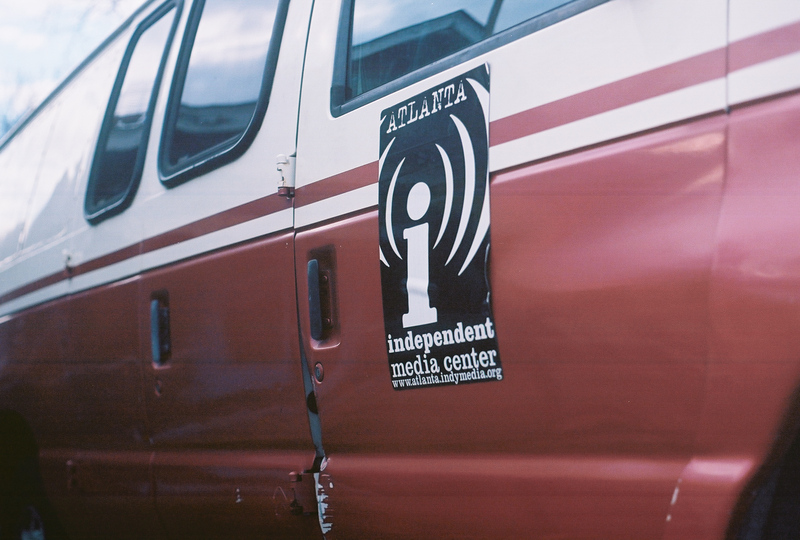 This entry was posted on December 29, 2012 by Steve Osborne in Consumption and Debt, Economy, Movements for Change, Politics and tagged Kodak Ektar 100, Kodak TMax 400, Neighborhood Resistance Parade, Occupy Atlanta, Occupy Our Homes ATL, OOHA, Pentax MX, Social War and Radical Mobilization, SWARM, Vivitar 50/1.7.